Brendan Best says self-checkout isn't worth his time because something often goes wrong, forcing him to seek out assistance. "I would not like to have that type of hassle, so I try to go through cashier lines," said Best, who lives in Halifax. "There's nothing in it for me." A new grocery shopping study out of Dalhousie University suggests many Canadians have dabbled in self-checkout, but few have found reason to embrace the technology — which, along with reducing labour costs, is supposed to make shopping more convenient. Out of 1,053 people surveyed in October, two-thirds said they have tried the machines when grocery shopping. However, just 11 per cent of those shoppers report that they use them regularly, while the rest opt to use self-checkout only occasionally. The survey's margin of error is 3.1 percentage points, 19 times out of 20. Its principal investigator suspects uptake is low due to self-checkout's "mediocre" technology. 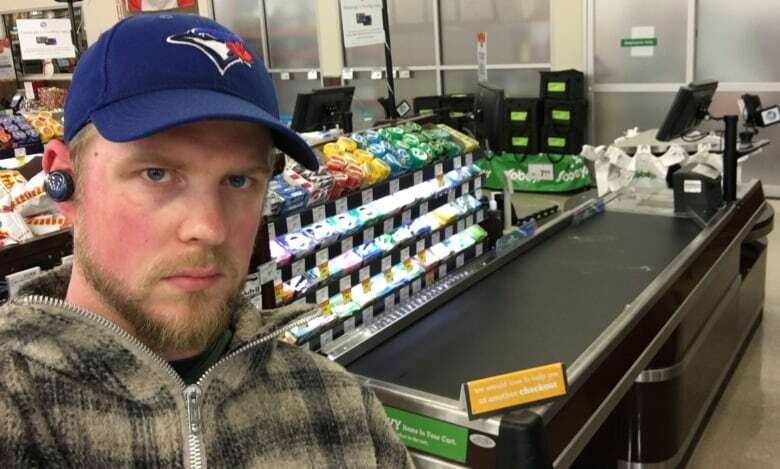 "They're going to have to do a better job in getting the right technology in place if they want to capitalize on self-checkout," said Sylvain Charlebois, a professor at Dalhousie University specializing in food distribution and policy. Self-checkouts debuted in North America in the early 1990s and are now a staple at many major Canadian retail stores. Although the technology has advanced over the years, it remains a source of frustration for many shoppers who have opted not to use the machines on a regular basis. Shirley Fourney of Saskatoon says she uses self-checkout only when buying a few small items because she finds the bagging area has limited space. "The automated bagging thing keeps saying, 'Put it in your bag. Put in your bag.' Well, no, I didn't because [it's] 10 pounds of potatoes," Fourney said. Brendan Best in Halifax says scanning snafus can also happen with small items. "You have a thing of floss and you've already put it in the baggage area and it's not reading it and then you're going, 'Sir, sir, ma'am, ma'am, I need help.'" Valerie Menard says she often experiences problems when scanning items without bar codes that require extra steps, such as produce that must be weighed or items from the bakery. "Whenever I've tried to do it with more than a few items or produce or a baked good, I'll have to get another staff member for help," said Menard, who lives in Waterdown, Ont. "It just doesn't seem like it's saving anyone time." She also finds scanning and bagging items a challenge when trying to keep an eye on her one-year-old son. "Going through self-checkout isn't practical. We have children to watch." 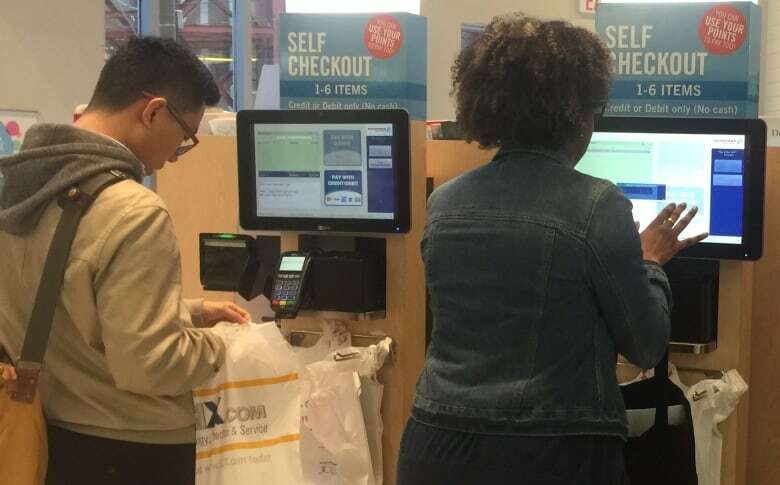 Some shoppers also said they avoid using self-checkouts regularly for a reason that doesn't actually involve its technology: they're worried about putting cashiers out of work. "The cashiers need the jobs," said Fourney in Saskatoon. Of course, not everyone has gripes about self-checkout. Bob Munson of Nelson, B.C., says he uses the machines whenever possible to avoid getting bogged down in "unneeded chit-chat" with the cashier. "I'm shopping. I'm not there to make friends," he said. "I like to get the machine that does the job and just go." 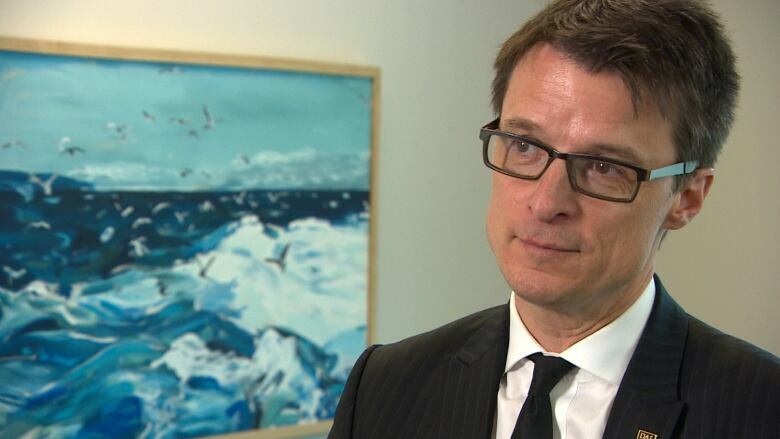 While Munson may be in the minority at the moment, professor Charlebois believes that will change. In the age of automation, self-checkout is here to stay, he says. As the technology improves, he expects more shoppers will buy in — once they feel it truly makes their lives more convenient. "The digitization of the grocery business is inevitable," he said. Already, self-checkouts are changing. Major global supplier NCR recently announced it was incorporating image-scanning technology that eliminates the need for weight-based detection of scanned items. That means no more need for that annoying automated voice reminding you to place your items in the bagging area. Some retail experts expect people will embrace self-checkout when it looks more like Amazon Go, a cashier-less store created by online shopping giant, Amazon. Thanks to technology that detects when products are removed from store shelves, Amazon Go shoppers take what they want and just walk out. "Amazon Go is almost seamless," said Toronto retail consultant Bruce Winder. "It definitely, I think, has great potential because I see the value for customers." Only seven Amazon Go stores exist so far, all in the U.S., but up to 3,000 more are reportedly in the works. Until such technology becomes mainstream, Charlebois suggests retailers could attract more customers to self-checkout by offering an incentive, such as a product discount. "Why not reward a behaviour you want to see in your store?" Best says an added perk might help him change his mind about self-checkout. "At least I would be able to look at it and say, 'What do I get from this? I get this discount.'"